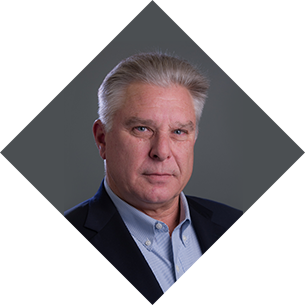 As senior vice president of Cook Inlet Operations, Tom is responsible for the strategic growth, day-to-day business operations, and safety and environmental performance of Peak in the Cook Inlet region of Alaska. A seasoned professional with more than 39 years of experience in the oil and gas and construction industries, Tom has broad experience and knowledge both in the field, as a skilled craftsman and master mechanic, as well as in the boardroom. This combination allows him to efficiently balance client needs while providing them with responsive solutions to their most challenging projects. Most recently, Tom has significantly expanded Peak’s market share on the Kenai Peninsula and successfully promoted the company as the local contractor of choice for operators in the Cook Inlet Region.